Americans generate millions of tons of waste annually. They toss their leftover food, plastic packaging, aluminum cans and printer paper into the garbage can without thinking about where it will go next. While most of that can be recycled, not much is. Many U.S. citizens don't have a problem recycling paper, but when it comes to plastic, those efforts aren't as strict. Because of this, some companies are attempting to create a greener supply chain by making their products and packaging more eco-friendly. According to the U.S. Environmental Protection Agency, Americans generated 33 million tons of plastic waste in 2013. However, only 9 percent of that was recycled. In a society where the material is predominant in all parts of the supply chain, this number isn't where it should be. While efforts have been made to reduce the amount of plastic in consumer products, such as water bottles, cosmetics and packaging, these endeavors don't stop the material from ending up in landfills. However, in the upcoming years, these numbers may change and businesses may be forced to completely alter their packaged goods. More Americans are becoming aware of their impact on the environment and are switching their purchasing habits to reduce carbon emissions. In a survey conducted by Tetra Pak and the Global Footprint Network, 69 percent of respondents said they search for products that come in sustainable or renewable packaging. Approximately 90 percent of women and more than 75 percent of men would continue to do so if it reduced their carbon footprint. "With the heightened focus on climate change ahead of the U.N. Climate Conference in Paris in December, it is important not to overlook the role that renewable packaging and sustainable sourcing can play both in keeping the climate in balance and allowing precious natural resources to be renewed," said Elisabeth Comere, the director of environment and government affairs for Tetra Pak. Americans use many resources, and paper is among the popular ones. Their efforts to recycle it are much more constant than those for plastic. In 2012, people used nearly 70 million tons of the material, but they recovered 65 percent of it, according to the EPA. Because of this, paper may be a better packaging material than plastic. Tetra Pak is one of those businesses that have come to that conclusion. The Swedish packaging company has partnered with JUST Goods to bring paper-based water bottles to the U.S., Food Production Daily reported. The cartons are more than 50 percent paper, lined with a layer of aluminum to protect from light and air. 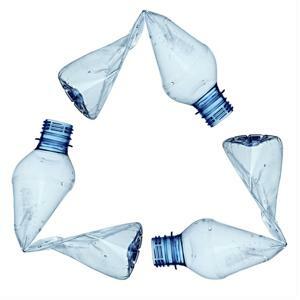 Only the cap and opening of the bottle are made of high-density polyethylene, a plastic that is more durable and environmentally friendly than its BPA counterpart. The empty containers can also be transported flat, which means it is more cost-effective to ship them. While not all of the companies have gone the paper route, other corporations have taken steps to create more sustainable packaging. Coca-Cola created the first plant-based bottle for its products, which has reduced annual carbon emissions by 315,000 metric tons, according to the company. While its current packaging only uses up to 30 percent renewable materials, Coca-Cola's future containers, which was revealed at the 2015 World Expo in Milan, will be completely made of plants. As consumers demand more eco-friendly products, companies must find ways to create more sustainable packaging. By implementing green methods throughout the supply chain and rethinking their processes, businesses will be able to create items that both benefit the environment and the public.